Hello friends, today I'm going to discuss an Indian brand which shows and proves how tiny steps can lead one to the peak of success. The brand is none other than Haldiram. It is the top brand of Indian food industry today. In fact, you can find the products of this brand all over the world today. Actually, it is not a brand but the entire flavor of the state of Rajasthan. So let's get to know the success story of Haldiram. 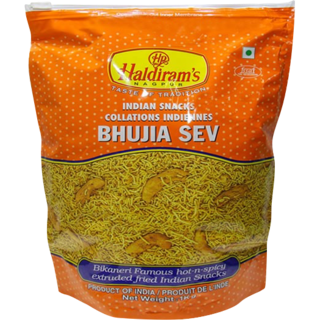 The story of this Nagpur based company started in 1937, at Bikaner of Rajasthan when a man learned the recipe of making "bhujia" (a dry snack commonly used by the people of India). He then opened a stall making the same snack and earning his livelihood. A few years later, his son Gangavishan Agarwal tasted his father's snacks. He made some changes in the preparation process that made the snacks, even more, better, tastier and crunchier. He just tried to change the common snack into a new trendy one. And the next time, the stall was crowded with customers. A little experiment changed the overall sales of the shop. After some months, the shop was renamed "Haldiram's". Actually, this was the other name of Gangavishan Agarwal. And as his experiments brought colors to the business, the family decided to use his name as the brand name. 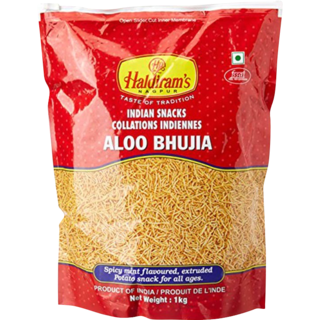 With the passage of time, Haldiram brand opened its shops in various places like Nagpur, New Delhi and Bombay with a huge number of products including Snacks and Sweets, Dairy products, Ice cream, Cookies etc. It is rightly said that if you walk with time, you can achieve anything. The same happened with this brand. With time, the traditional shop took the shape of an international one. Today, as many as 100 food products of this brand are being sold in the market, that too with variations. Haldiram reached another milestone by preparing "ready to eat" food products from 2010. It is highly popular among the working people who have less time to cook. 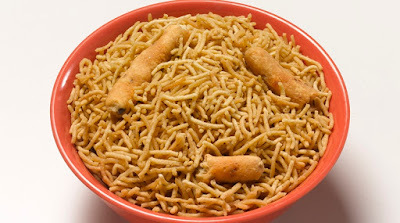 Gradually, many Haldiram restaurants have been established in places like Delhi, Noida, Patna, Kolkata etc. Moreover, the brand didn't stay confined to India. It had gained popularity in other countries like Sri Lanka, UK, US, Canada, Japan, Australia, New Zealand, Thailand etc. with its subtitle being accurately defined "Taste of Tradition". Like every story, this story also had ups and downs in business, but the effort and hope never went down. Heads hight and hands-on work can make wonders. The same happened with Haldiram. Day by day, it created new qualities and new flavors keeping in mind the satisfaction and requirements of customers. Then, the revenues increased at a high rate making the brand stand where it is today.